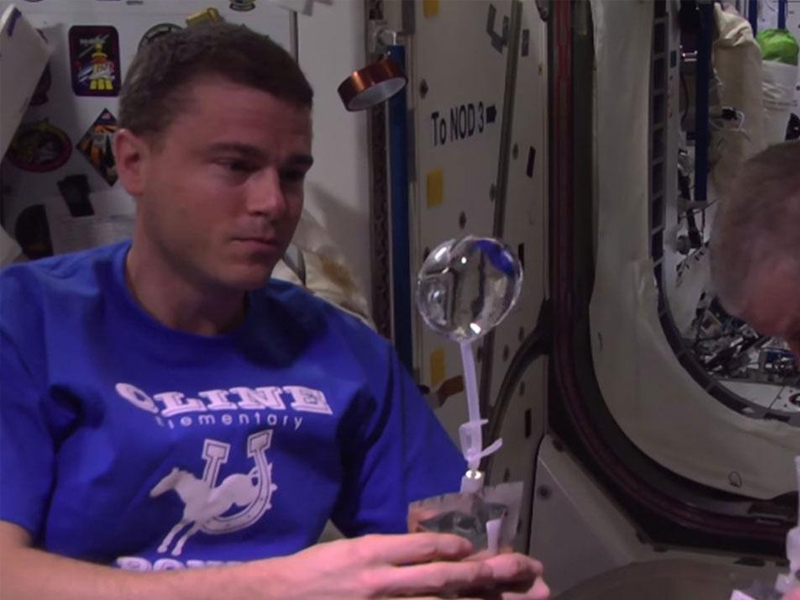 Check out this video where NASA astronauts play around with water in zero gravity! They even put a Go-Pro inside the bubble. During Expedition 40 in the winter of 2014, NASA astronauts Steve Swanson and Reid Wiseman — along with European Space Agency astronaut Alexander Gerst — explored the phenomenon of water surface tension in microgravity on the International Space Station. The crew “submerged” a sealed GoPro camera into a floating ball of water the size of a softball and recorded the activity with a 3-D camera.